It is a broadly described annual report of Bangladesh Steels Re-Rolling Mills Limited in the year of 2012. During the financial year, The Company total export sales during this period were USD $ 634,574 against exporting 1,018.69 MT goods. Gross Profit Taka. 697,520,675 million. Net Profit before tax and WPPF and Welfare Fund Taka. 213,478,138 million. Net Profit after Tax for the year 2012, Taka. 453,924,187 million. The company held cash and cash equivalents of Tk. 85,564,964 at December 31st, 2012 (2011: Tk. 94,722,689), which represents its maximum credit exposure on these assets. 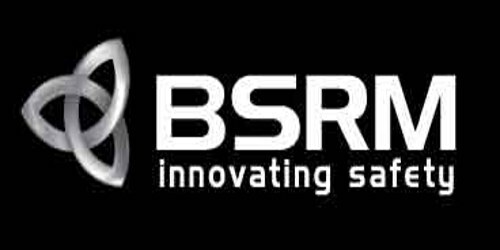 The Board of Directors of BSRM Steels Ltd. has proposed stock dividend of5% and the cash dividend of 10% for the year 2012 to its shareholders awaiting approval at the Annual General Meeting which is scheduled to be held on April 30, 2013, and record date of which was 12.03.2013. These financial statements are presented in Bangladesh Taka (Taka/Tk/BDT) which is the company’s functional currency. All financial information presented in Taka has been rounded off to the nearest Taka.